Background/Info: Belgian electro veteran Tcheleskov Ivanovitch can look back at a considerable discography. Being involved with different projects he now gets back to Grandchaos. This album (kind of mini-album) featuring 8 tracks has been released on an artistic picture disc and strictly limited to 300 copies. 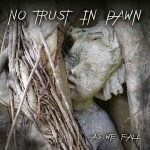 It has been released by the Swiss label Urgence Disk Records and Belgian label Lynch Law Records. 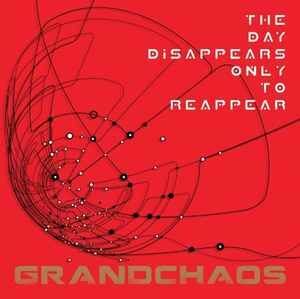 Content: Grandchaos stands for electronic minimalism, mixing elements of EBM together with early technoid influences. The production has this little vintage touch, which totally fits with the danceable aspect of the work. Tcheleskov sings with this typical grave timbre of voice and with a cool French accent. Some tracks are clearly reminding me of the work of his good-old friend Jacky Meurisse (Signal Aout 42), with whom he’s involved with Grand((Ø))Signal. + + + : I remain totally devoted to the minimal creation of Grandchaos. It has this retro-like approach, but with some extra and personal influences on top. 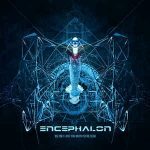 Sometimes moving at the edge of techno music and early new-beat, it is the kind of production that will possibly reach a wider range of electronic lovers. I like the sound treatments and most of the bass lines. There also is a spooky touch created by the vocals. Last, but not least the picture disc really is a great piece of art! – – – : The B-side features a few cuts, which are less convincing; a bit like having composed in a hurry. If you’re familiar with the “Days + Memories”-release(s), you’ll recognize a few cuts. Conclusion: Grandchaos never has been the most renowned artist from the Belgian community and yet it remains one of the most original and efficient formations in the genre! Best songs: “I Hope I Die”, “Alone In The Dark”, “The Light In The Mist”, “The Day Reappears”.